1 The real world is a symbol like the rest of what perception offers. Yet it stands for what is opposite to what you made. Your world is seen through eyes of fear and brings the witnesses of terror to your mind. The real world cannot be perceived except through eyes forgiveness blesses, so they see a world where terror is impossible and witnesses to fear can not be found. 2 The real world holds a counterpart for each unhappy thought reflected in your world, a sure correction for the sights of fear and sounds of battle which your world contains. The real world shows a world seen differently, through quiet eyes and with a mind at peace. Nothing but rest is there. There are no cries of pain and sorrow heard, for nothing here remains outside forgiveness. And the sights are gentle. Only happy sights and sounds can reach the mind that has forgiven itself. 3 What need has such a mind for thoughts of death, attack, and murder? What can it perceive surrounding it but safety, love, and joy? What is there it would choose to be condemned, and what is there that it would judge against? The world it sees arises from a mind at peace within itself. No danger lurks in anything it sees, for it is kind and only kindness does it look upon. 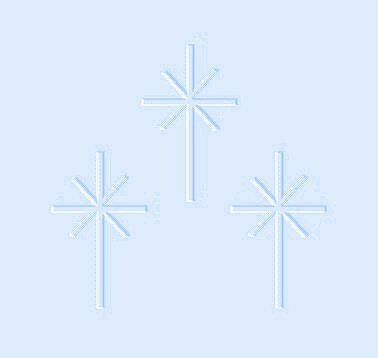 4 The real world is the symbol that the dream of sin and guilt is over and God's Son no longer sleeps. His waking eyes perceive the sure reflection of his Father's Love, the certain promise that he is redeemed. The real world signifies the end of time, for its perception makes time purposeless. 5 The Holy Spirit has no need of time when it has served His purpose. Now He waits but that one instant more for God to take His final step, and time has disappeared, taking perception with it as it goes and leaving but the Truth to be Itself. That instant is our goal, for it contains the memory of God. And as we look upon a world forgiven, it is He Who calls to us and comes to take us home, reminding us of our Identity which our forgiveness has restored to us. 1 My holiness is far beyond my own ability to understand or know. Yet God my Father, Who created it, acknowledges my holiness as His. Our Will together understands it. And our Will together knows that it is so. 2 Father, my holiness is not of me. It is not mine to be destroyed by sin. It is not mine to suffer from attack. Illusions can obscure it but cannot put out its radiance nor dim its light. It stands forever perfect and untouched. In it are all things healed, for they remain as You created them. And I can know my holiness. For Holiness Itself created me, and I can know my Source because it is Your Will that You be known. It is reassuring to know that we can't corrupt our holiness no matter what we do. "My holiness is far beyond my own ability to understand or know." (W.299.1.1) Yet since my holiness is God's, who created it, "Our Will, together, understands it." (W.299.1.3) Only when the ego is out of the way and we are plugged into our Source can we know our holiness. God Wills that we know Him, and our own will is to know Him. When we unite our will with God's, which we do by releasing all that stands in the way, we can know our holiness. We are assured by Jesus that holiness is eternal, abides in us, is our true nature, and indeed is our identity as the Christ Self. Yet when we experience anger, judgments, attacks, worries, betrayal, specialness, or temptations of any kind, we doubt our purity and our innocence, even though they are always there. If we don't experience our divine nature, we are actually choosing against it. We are, instead, choosing to identify with our thoughts and believe in them, and our thoughts are what lead to our experience. Investigating our thoughts and questioning their reality is how we bring them to light. When we don't feel a deep abiding connection to our Source, but hold a lot of spiritual concepts, it is an indication that we are putting on a "cloak of holiness." This is the spiritual ego that may look like a façade of niceness, sweetness, generosity, or innocence. With this façade in place, we conceal emotions that we judge as negative. We reject radical self-honesty and deep self-inquiry. We may compare ourselves as better or more spiritual than others. We may act superior, believing in our own intellectual understanding of spiritual principles as reflected in the Course. Holding onto concepts is actually a defense against awakening to who we are. This is all about the image of the personal self that we defend. It is the spiritual ego that must be undone to know who we really are. We can't know our holiness and still identify with the individual, bodily self. I have been reading a book called, Awakening into Oneness , by Arjuna Ardagh, which speaks beautifully about this mistaken concept of the spiritual ego. In the book, there is a quote by a Tibetan Buddhist teacher, Lama Surya Das, who calls this belief in one's enlightenment, "premature immaculation." He describes it as someone who has had a peak spiritual experience and continues to cling to the memory of that experience, persuading themselves, and anyone else who will listen, that they have reached the pinnacles of enlightenment. It is then something craved for or talked about, but it is still an obsession with the "me" having these experiences. The problem is that honest self-reflection and genuine curiosity have ceased. It is not unlike the story of Jack Kornfield in his book, After the Ecstasy, the Laundry . Kornfield speaks of how holy he felt while in the monastery. He thought he had achieved a significant level of peace and harmony, but when he came back into the world, the same issues he had in his relationships, before he entered the monastery, were still there. My life looked much like that during the time I was single. I felt that I had achieved a high level of peace and that I had gone a long way in my healing. 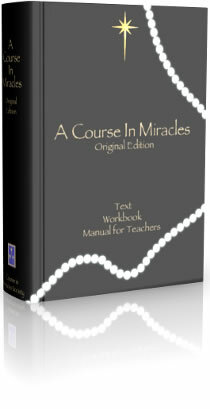 Miracles were evident in my life and I felt loved and supported. 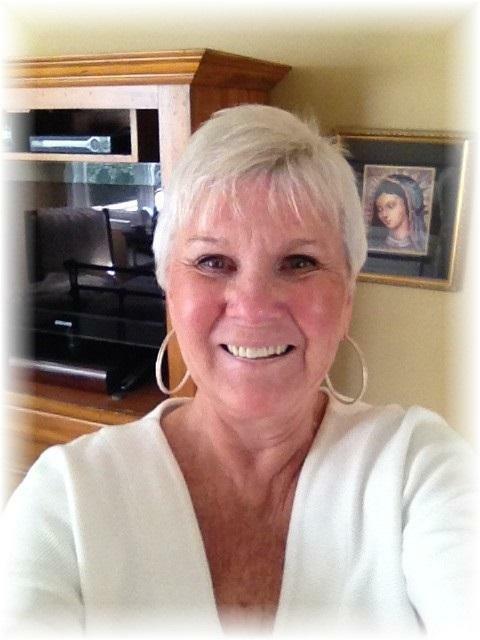 I was living in a spiritual community in Sedona with few responsibilities. Life seemed to be a beautiful flow. Then the next level came up for healing. It came through a relationship in which every button was being pushed. We got together under the auspices that the relationship would be dedicated to only one purpose---to heal. The relationship just seemed to happen without the romantic attachment that had initiated all my other special relationships. It felt like it was orchestrated, at some level, for my healing, and although I did not experience "being in love," I did feel somehow that this person was supposed to be in my life. Some years later, I recognized what a gift he has been in helping me to see so many layers of my unhealed mind. No, it has not been a lot of fun at times, but it has significantly accelerated my healing. When we dedicate our special relationships to healing and holiness, Jesus tells us, "For here, the goal of the relationship is abruptly shifted to the exact opposite of what it was." (T.17.V.2.6) (ACIM OE T.17.V.44) Hence, our goal for the relationship is replaced by His goal. "This is accomplished very rapidly, but it makes the relationship seem disturbed, disjunctive and even distressing." (T.17.V.3.3) (ACIM OE T.17.V.45) The answer the ego gives to this kind of seeming incompatibility is to leave the relationship. The ego was telling me to do just that. "Go back to Sedona!" "Many relationships have been broken off at this point, and the pursuit of the old goal reestablished in another relationship." (T.17.V.3.8) (ACIM OE T.17.V.45) Yet I intuitively knew this relationship was perfectly set up by Spirit. It was actually set up perfectly by us and for us by our own right minds. While to the Spirit it was delicious, the ego rebelled tremendously. Yet here I am today, feeling such love for the person I thought I did not want in my life. I am so grateful for the opportunity provided through this relationship to recognize the unconscious guilt in the form of anger and rage, which I had kept hidden from myself. I am so grateful for all the healing that has come about in the last few years. It has been such a gift. While the healing continues, it has become more gentle, and I do not deceive myself that there are not many more layers of defenses that need to be looked at. Jesus illustrates this process for us in the Manual for Teachers, where he defines the stages in the development of trust. The ego tells us that we will feel more holy or more spiritual if: we are "sorry," if we are more "loving," if we are more "helpful" to people, if we become more "informed" about this Course, if we are more "ethical," if we eat only vegetables, and if we help the "less fortunate." All of these are good on the level of form, but this Course is about undoing the wrong-minded thought system through forgiveness. It is not about good deeds but where our minds are when we are giving of ourselves. We have many ways of putting on the cloak of pseudo-holiness because we think it is up to us to make ourselves holy. We think that by being "nice" and by pleasing others, we can somehow cover up our judgments. We think that we can hide our resentments and overlook the fact that we are really giving in order to get something, whether it is recognition, appreciation, respect, love, or specialness in any form. How do we know eternal holiness abides in us? Where is the evidence? Jesus says, "And I can know my holiness." (W.299.2.7) It is not hidden from us. It is not an obscure part of us. It is the truth about us. It is who we are. It is our Identity, but it is hidden from our awareness by illusion. "Illusions can obscure it, but can not put out its radiance, nor dim its light." (W.299.2.4) The illusions that obscure our holiness are like the clouds that obscure the sun. The sun is always shining, but it is not in our experience when the gray, overcast sky obscures it. These clouds are all the judgments and grievances we hold. How do we connect with the truth? We need to release our way of trying to make ourselves holy and instead go beyond the clouds of our own judgments, our anger, our specialness, our expectations, and our control, and join with His Will for only "Our Will, together, understands it. And Our Will, together, knows that it is so." (W.299.1.3-4) "For Holiness Itself created me, and I can know my Source because it is Your Will that You be Known." (W.299.2.8) This takes discipline in doing the practice daily. It takes an investment in looking at our thoughts throughout the day and being willing to take responsibility for them. Jesus asks us to be happy learners, meaning that everything that comes up in our day is all for the undoing of the mind. When we welcome it all, we don't judge any of it as good or bad. In fact, we recognize that it is all perfectly orchestrated. Thus, we can go through our day with inspiration, rather than feeling victimized by what is happening around us and to us. We hold onto our guilt in the belief that we need to suffer. Today, I said "no" to someone who was asking me for help. My guidance was that the help being requested was not appropriate for me to offer, but I felt uncomfortable saying no. There was guilt that I "should" be helpful to everyone who asks. I felt guilty because I have been invested in people-pleasing. When this is examined deeply, it is apparent that it comes from our belief in our own unworthiness. It is based on needing to be liked, which is not about asking and following the guidance of the Holy Spirit. Yet when our giving does not come from truth, we are sacrificing, which results in anger. In fact, the "gift" we think we are giving is actually a "gift" of guilt, resentment, and anger. When we "give" because we should, nothing of value is truly being given. As Sri Nisargadatta Maharaj says, "Don't pretend to be what you are not, don't refuse to be what you are. Your love of others is the result of self-knowledge, not its cause. Without self-realization, no virtue is genuine. When you know beyond all doubting that the same life flows through all that is and you are that life, you will love all naturally and spontaneously." How willing are you to reverse your current thinking? How determined are you to be right in the way you think now? To reverse our current way of thinking requires an acceptance that illusions are false, and truth is true. This means that we must look at our thoughts and acknowledge that we have been mistaken. We simply do not know anything when we rely on our limited perceptions. We will be taken to truth only as far and as fast as we are ready and willing to go. It is up to us to decide on the when and how. No one who believes he is guilty can know his holiness. If we insist on seeing guilt in our brothers, we are telling God that His proclamation of our brother's innocence and our own is wrong. If we hold onto our beliefs in our unworthiness and our lacks, God would have to be wrong about our holiness. The beliefs we hold about ourselves are, in fact, arrogant because they defy God's proclamation of who we are. The beliefs and concepts that I hold about myself have never changed my reality. I can believe that I have changed my reality. I can believe that I have destroyed my innocence. I can believe that I have altered myself and changed my nature by my evil deeds and attacks, but this Lesson and many others keep reminding me that I can't change the truth of what I am. Eternal holiness abides in me. Our attacks on ourselves haven't worked to change what we are. We are still the holy Son of God, and we will always remain as pure and holy as our Creator. There is nothing to become. There is only the undoing of what we have made, and the bridge to our identity is forgiveness. It is the undoing of the illusion. Sin and guilt, which occupy our minds and hide the truth from our awareness, will disappear when we have used time for its intended purpose. "The Holy Spirit has no need of time when it has served His purpose." 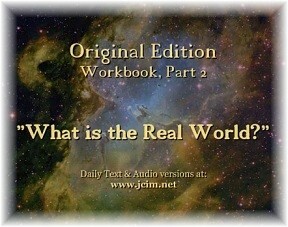 (W.PII.Q8.What is the Real World?5.1) Time and perception will both disappear when we have accepted the truth of who we are. An important question with regard to everything in this world is, "What is it for?" Purpose is everything. The key to it all is our willingness, which is what Jesus tells us takes time and effort. Since this Course is all about healing through relationships, the willingness to heal starts with our relationships. As Jesus says, "You will never give this holy instant to the Holy Spirit on behalf of your release while you are unwilling to give it to your brothers on behalf of theirs. For the instant of holiness is shared, and cannot be yours alone. Remember, then, when you are tempted to attack a brother, that his instant of release is yours." 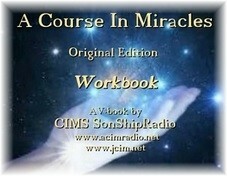 (T.15.I.12.1‑3) (ACIM OE T.15.II.13) This Course is ultimately practical. We release ourselves when we release our brother from our judgments, from our guilt, from condemnation, and from the demands we make of him due to our specialness where we see ourselves as the center of the universe. What we need to do is to be willing to look at our thoughts and beliefs and simply acknowledge that they are not the truth. When we are willing to look at them honestly, together with the gentle support of Jesus/Holy Spirit, we start the undoing process. To look in this way means that we don’t judge ourselves. We ask the Holy Spirit to reinterpret our mistaken perceptions. Everything we project onto our brothers is a reflection of some unhealed guilt in our own minds. The truth is that eternal holiness abides in us, and there is nothing we can do, or have done, that can change this.